Here is an update on the status of ORBCOMM’s 11 OG2 satellites. SpaceX put us within a fraction of a degree in inclination and 5 kilometers in altitude of the intended orbit. Credit to SpaceX on a second virtually flawless launch! 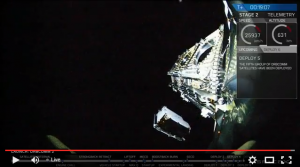 The satellites separated from the Falcon 9 launch vehicle seamlessly, and the solar panels and antennas deployed as expected. Within just over an hour after launch, all 11 satellites established connectivity at ORBCOMM’s Gateway Earth Stations around the world. We have made significant progress on our launch operations over the past couple of weeks. Our joint effort with Sierra Nevada Corporation to perform In-Orbit Testing (IOT) on the OG2 satellites is going very well, which is a testament to the hard work and dedication of both teams. The IOT team completed the satellite bus testing at the end of December, which was ahead of schedule, and we are already more than half way done with the initial payload testing. We have begun propulsion maneuvers to separate the satellites into their orbital planes; they are currently about 4,000 miles apart when measured from “tip to tail” (from the front satellite to the back satellite). Next, we will focus on communications testing. Overall, the satellites are operating as expected, and we are extremely pleased with the milestones we have achieved for this mission to date. At the current pace, we expect to provide nearly full commercial service for M2M messaging and AIS services to our customers by the end of the first quarter. SpaceX successfully launched the Falcon 9 rocket and deployed all 11 ORBCOMM OG2 satellites in nominal orbits. SpaceX successfully landed the first stage of its Falcon 9 at its Cape Canaveral landing pad. An amazing achievement! A five-minute launch window opens at 8:29 pm ET this evening for ORBCOMM’s OG2 Mission 2 launch. 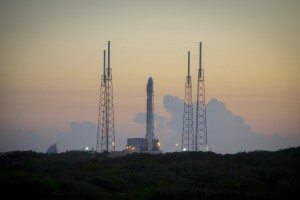 SpaceX will start the webcast at 8:10 pm ET. 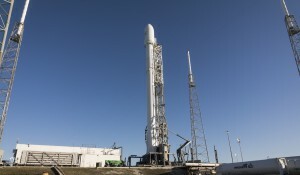 Watch the launch live at www.spacex.com/webcast. We have an update regarding tonight’s target launch for ORBCOMM’s OG2 Mission 2. 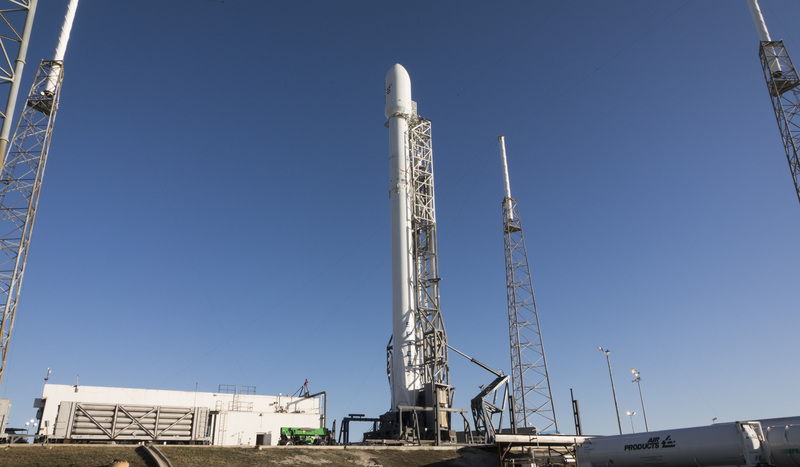 Upon further review of the static fire data, SpaceX has determined that an additional day prior to launch will allow for more analysis and time to further chill the liquid oxygen in preparation for launch. Please note that we will now be targeting launch for tomorrow, Monday, December 21 at 8:33 pm ET. 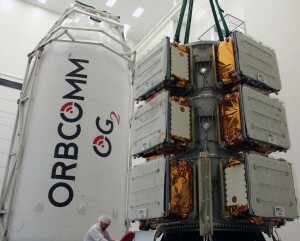 ORBCOMM is continuing to target its OG2 Mission 2 launch for 8:29 pm ET today, Sunday, December 20th. SpaceX will host a live webcast of the launch starting at 8:05 pm ET. SpaceX is currently aiming for a December 20th launch of the Falcon 9 rocket, carrying 11 satellites for ORBCOMM. The launch is part of ORBCOMM’s second and final OG2 Mission and will lift off from SpaceX’s launch pad at Cape Canaveral Air Force Station in Florida. This mission also marks the first time SpaceX will attempt to land the first stage of the Falcon 9 rocket on land. The landing of the first stage is a secondary test objective. We are excited to report SpaceX completed their static fire test of Falcon 9 this evening. We are now targeting ORBCOMM’s OG2 Mission 2 launch for no earlier than Sunday, December 20 at 8:29 PM ET from launch pad SLC-40 at Cape Canaveral Air Force Station in Florida. The Falcon 9 rocket remains vertical at Space Launch Complex 40 at Cape Canaveral Air Force Station. 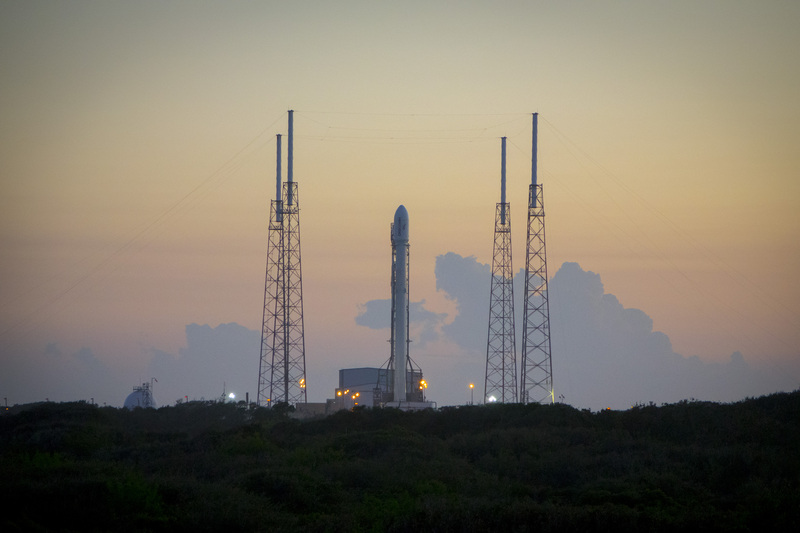 The teams will continue working towards a static fire today to verify the rocket’s readiness and aim towards launching a few days after the static fire is completed. Yesterday, SpaceX had a good run through of pad operations and is looking to static fire Falcon 9 this afternoon (exact time TBD). The SpaceX Falcon 9 rocket rolled out of the hangar at the Cape earlier this afternoon in anticipation of static fire and is now vertical at SLC-40 launch pad. 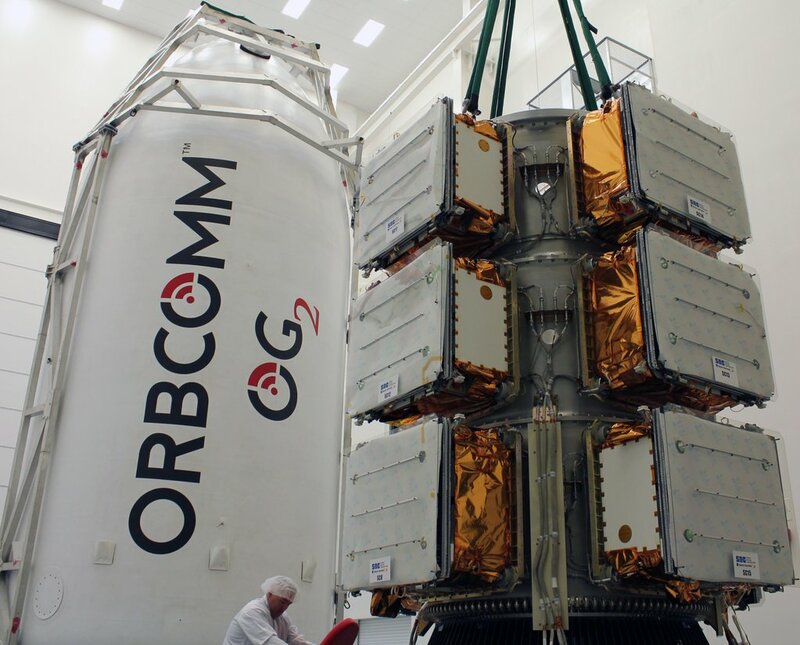 We’ve got an exciting week ahead as we get ready for ORBCOMM’s upcoming OG2 Mission 2 launch. All 11 OG2 satellites are fueled and stacked on the satellite dispenser, so they are ready to launch. SpaceX has integrated the two stages of the Falcon 9 rocket and encapsulated the fairing around the satellite stack. The encapsulated fairing is targeted to be mated to the Falcon 9 early tomorrow (Tuesday, December 15). SpaceX is currently aiming for a static fire of the Falcon 9 at Cape Canaveral Air Force Station in Florida on Wednesday, December 16. Once the static fire is completed to verify the readiness of the rocket, ORBCOMM’s second OG2 Mission is targeted to launch about three days later at around 8:30 PM ET. In the January 8 update, you categorized the launch as “nearly flawless”. You also mention that the orbits were “within a fraction of a degree in inclination and 5 kilometers in altitude”. Earlier updates had stated that the orbits were nominal. Did later, more refined trajectory calculations determine that the orbits were not nominal? In short, what were the implied flaws? Hi Scott. Thanks for your question. “Nearly flawless” probably does not do it justice — “virtually flawless” is more accurate. While it’s impossible to exactly hit the orbit, SpaceX came amazingly close. They hit inclination to within 0.01 degree and the altitude to within 5 km — well within expectations and contractual obligations. 5 Pings/Trackbacks for "ORBCOMM OG2 Mission 2 Launch Update"